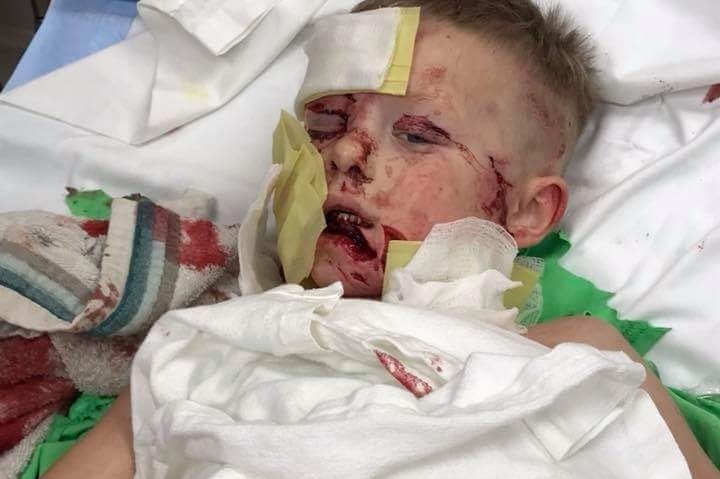 (KFSM) -- Matthew Guess, 4, is recovering at Little Rock Children's Hospital after being attacked by two dogs Thursday (April 6), according to his father, Dustin Guess. Matthew had another surgery Saturday (April 7) morning and additional surgeries will be done to reconstruct his face. Guess tells 5NEWS his son was walking between their home and their landlord's home near West Fork, when a neighbor's dogs attacked the boy. Guess said he was outside at the time working on a hog fence when he saw the attack unfold. A female dog grabbed Matthew by the right leg and began dragging him, then a male dog grabbed him by the face, according to Guess. Guess tells 5NEWS he ran as fast as he could to get the dogs off his son and bring him to safety. 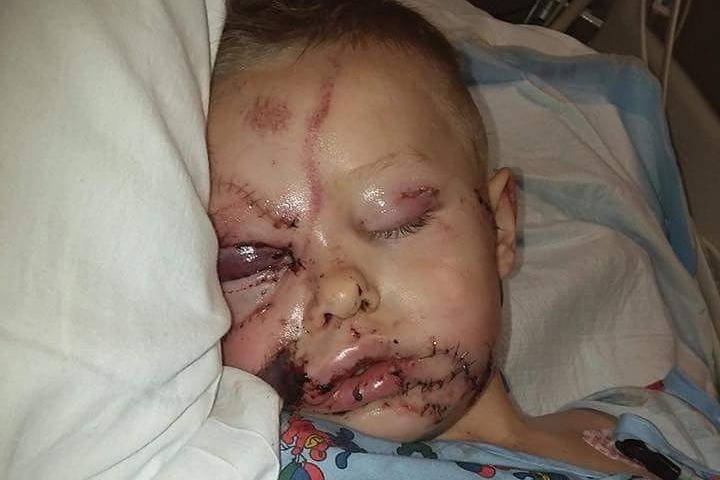 Matthew suffered several injuries to his face and body in the attack. Guess said the dogs are now on a 10-day quarantine. The dogs are quarantined at a local veterinary clinic, according to the Washington County Sheriff's Office (WCSO) Facebook page. Both dogs have been deemed dangerous and only one of the dogs had proof of rabies vaccinations, said WCSO. "My son is the bravest, strongest human I have ever met," said Guess. Click here to access a GoFundMe page for Matthew. I am SO SICK of seeing little children's faces torn up! If we had breed specific legislation, it would PREVENT these attacks!